September 2013: With age related hormonal changes, our skin tends to lose its volume and density, resulting in appearance of deep wrinkles and slackening. Swedish Direct selling major, Oriflame India, brings its latest breakthrough skin care range to treat post menopausal skin, under its high performing anti ageing range, Time Reversing SkinGenistTM. 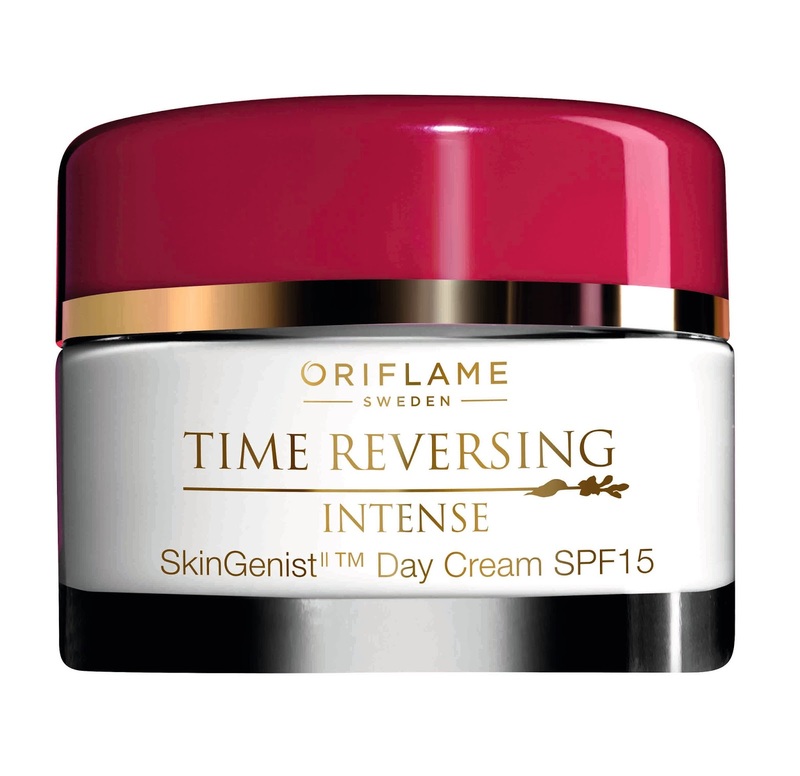 Oriflame’s new Time Reversing SkinGenistTM Intense range is the first range that combines the potency of Genistein and Amino + complex to help fight the signs of ageing in women within the age group of 55+. While the Genistein works on skin’s beauty genes to provide supple skin, the Amino + complex promotes skin density and helps in improving facial contours, visibly reducing wrinkles. Proven to address all the needs of very mature skin, this unique skin care treat includes a day cream, a night cream and an under eye cream that comes in a brand new elegant packaging and with the added benefits of SPF 15. Hiding the signs of aging around the eye area is a herculean task. Fine lines, dark circles, crow’s feet are the problems faced by many Post-Menopausal women. 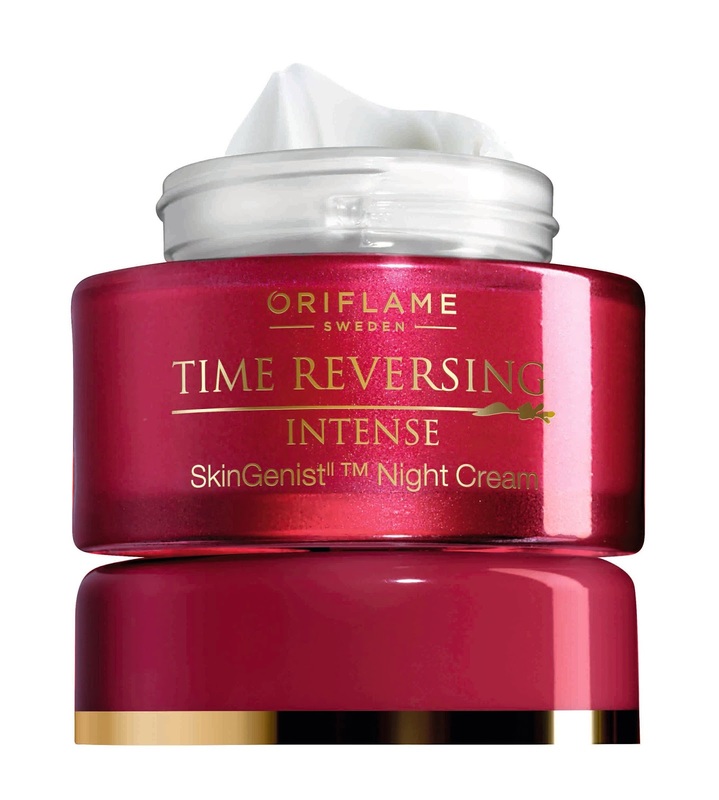 Oriflame Time Reversing Intense SkinGenistTM Eye Cream comes to the rescue and works towards plumping up deep wrinkles, redefining eye contour and restoring skin density around the eye area. @Rakhshanda Rizvi- It truly does sound good but this range is for 55+ mature skin.